A horse born on a small farm on the foot of the Knockmealdown Mountains took gold in the OLBG David Nicholson Mares’ Hurdle at Cheltenham. Bred in Goatenbridge by John O’Leary, the Dan Skelton-trained and Harry Skelton-ridden Roksana took full advantage when Ruby Walsh’s red-hot favourite Benie Des Dieux crashed through the final hurdle in Tuesday’s race. John says glory at Cheltenham for Roksana is rooted in County Tipperary, taking exceptional pride in the victory. 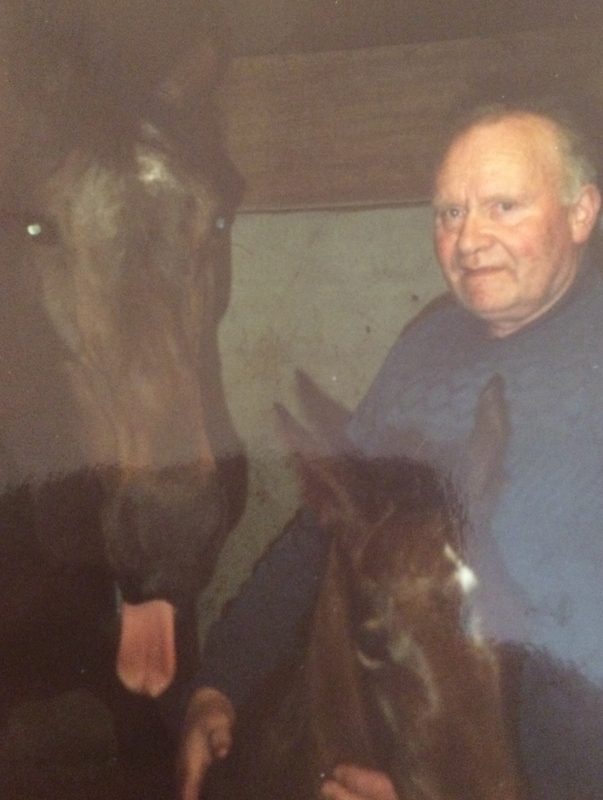 Regaling Roskana’s family tree, John explains that he bought a thoroughbred foal for 300 pounds back in 1984, which had to be taken away from its ill mother. “Usually a foal would stay with its mother until six months old, but that wasn’t possible at that time. I took a chance and bought the foal, fed her with milk replacer and foal creep food to keep her alive and thankfully all went well,” John tells Waterford Live. When the mare was three-and-a-half years old, it was time to break the foal and put her into training. However, John was rearing a young family at the time and wasn’t able to afford the training costs involved, so he syndicated her with three close friends. “We had no contracts or anything like that drawn up - just a gentleman’s agreement between friends. We named her Glenview Lady, and that’s where this story started,” he fondly recalls. Trained by Martin Hurley, Glenview Lady won a point-to-point, bumper, novice chase and twice over hurdles during a four-year racing career. She went on to have seven foals, one of which was an “exceptional mare” called Talktothetail with leading Beeches Stud, Waterford, stallion Flemensfirth. Trained by Tim Doyle in Moyne, Thurles, Talktothetail was syndicated between 12 sons and daughters of John and his three close friends. Poor health and age forced John to retire from working with horses. He initially sold Talktothetail with a foal at foot, keeping one foal with him in Goatenbridge - Cheltenham champion Roksana. “It looks like the best one was saved until last,” smiles John. 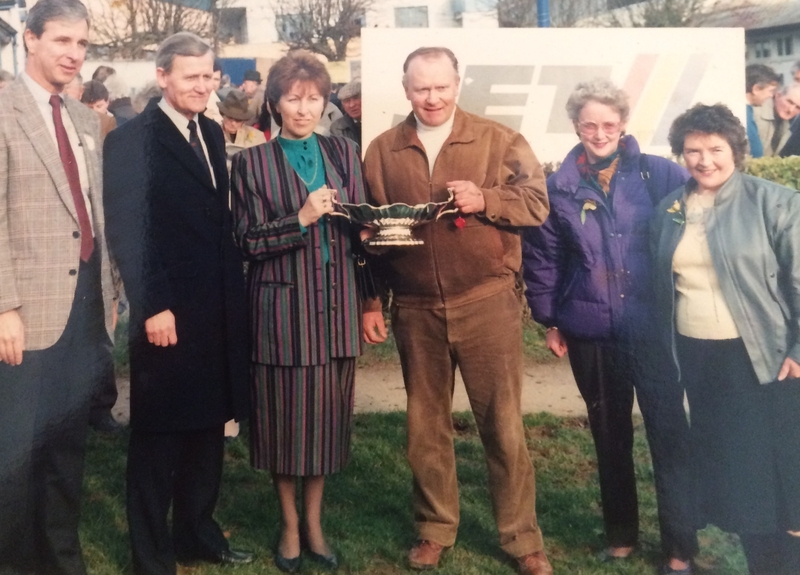 John - whose journey with horses started and finished as a hobby - reflects on 32 years of enjoyment, citing Roksana’s win at Cheltenham as a dream come through. “I suppose the odds of breeding a Cheltenham winner would equal the odds of winning the lotto. Breeding horses is a game of numbers. It comes with a cost, a lot of hard work and night watching, waiting on mares to foal. But I wouldn’t change a day of it.